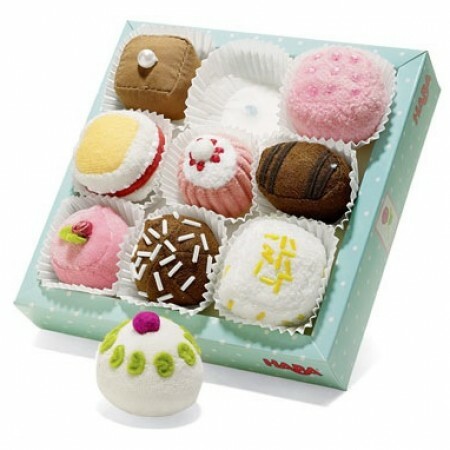 A set of 9 intricate little cake soft toys in a variety of colours and styles. Possibly the most delicious little toy we have ever seen, straight out of a French patisserie . . . hmmmmm! Comes in a decorative cardboard box and each cake comes in a paper tray. These really are toys that will last a lifetime and more, sure to be passed on to the next generation. Natural beechwood painted with non toxic waterbased paints which produce a bright deep shine. Innovative and educational toys that chidlren of all ages will love.